Want to know the absolute worst decluttering strategy ever (for me)? I’m sharing it, and why it’s the worst (for me) and what I do instead. Sponsor: Blinds Chalet! – visit their website or call 888-633-7840! Use promo code “clean ” for a special discount exclusive to A Slob Comes Clean Podcast listeners. 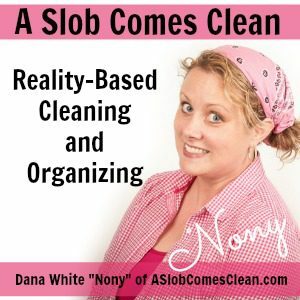 A Slob Comes Clean is the completely honest (and never-ending) story of my deslobification process. As I find ways to keep my home under control, I share the truth about cleaning and organization methods that actually work for a real-life slob. And I'm funny.